Providing Full-Service Security & Fire Alarm Systems! for your home or business, keep an eye on things! Full-Service Fire & Burglar Solutions! control your environment from wherever you are! We’ve partnered with Relidy, LLC. for a new website. Relidy.com offers sales and marketing material for the custom integration industry. Products include websites, brochures, sales books, business cards, promo material, logo design, and more..
We are a full-service security and fire alarm company providing quality service to residential, industrial, and commercial clients in Texas. From repair to new installation, from simple to a high-tech systems, our licensed and expert technicians are dedicated to working with you to implement a solution that meets your needs. 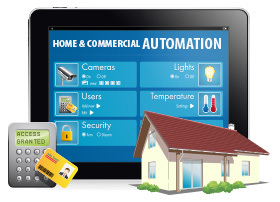 Our fire & burglar alarm systems are designed to protect your employees and home property. 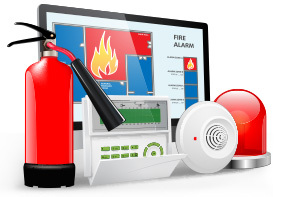 We offer outstanding systems designed to detect fire and life safety emergencies. 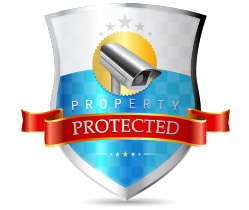 Protect your home or business and with a state-of-the-art security & surveillance system. Keeping an eye on the premises, monitoring who enters and leaves, and securing your assets during the overnight hours has never been more important, and yet so affordable.